Drop-in installation. Tub is pre-leveled for easy installation. The charming, traditional styling of this Portrait oval bath integrates with the Portrait Suite to carry the understated elegance of French Provincial design throughout the room. This 5' model is intended for drop-in installation and is constructed of high-quality acrylic and backed with a solid layer of fibreglass to ensure durability and resistance to chipping, cracking and flexing. Also available in store by special order only see store for details. KOHLER<sup></sup> whirlpools and baths deliver increased installation flexibility and help to transform the bathroom into a customized retreat. The fluid lines of this Sunward 5 ft. bath convey grace and sophistication while the increased rim deck allows you to choose from a variety of faucet placements. Also available in store by special order only see store for details. 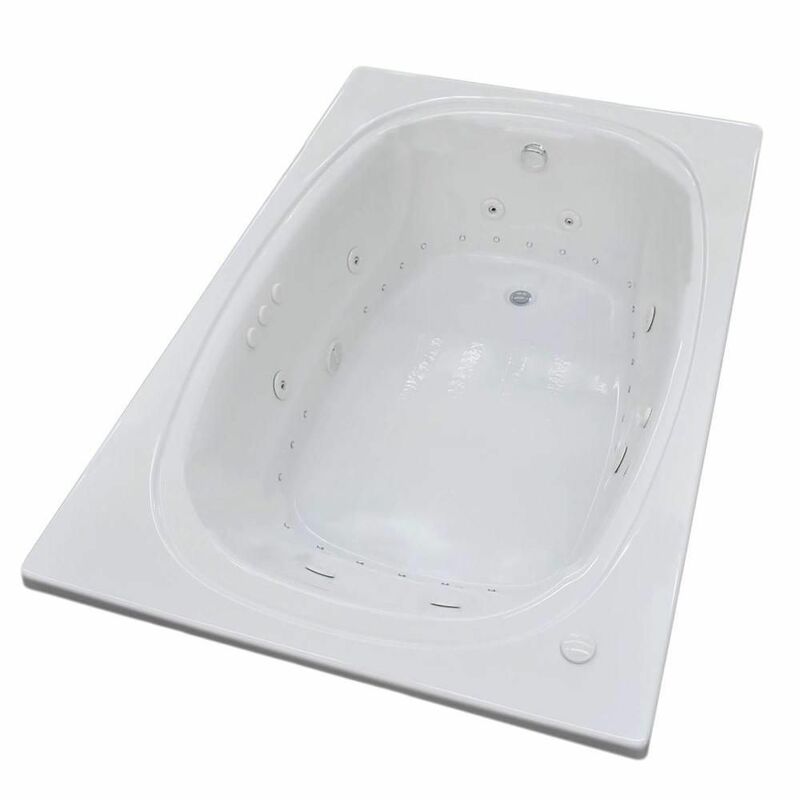 Peridot 6 Ft. Acrylic Drop-in Right Drain Oval Whirlpool and Air Bathtub in White Peridot series features a classic oval-shaped bathtub design, combined with recent luxury and safety industry trends. Body-wrapping armrests create an ultimate comfort zone, essential for a luxurious bathing experience.